Last night I had dinner with a friend who had a friend who was buying Valeant. Whatever - it led to a discussion of Valeant fundamentals - and that in turn led to this blog post. The stock has been on a tear lately - rising from $10 to $13.59 in the last week - poking above $14. To some degree this is just standard volatility for a bombed out stock. But it was prompted by Valeant producing results with a sharp rise in "adjusted EBITDA" and guiding for higher adjusted EBITDA. As the FT put it Valeant "bumped guidance". I want to explore this "adjusted EBITDA" number. Then I want to lay out the valuation directly. Valeant has a history of producing little or no GAAP earnings but very large adjusted cash flow. The adjustments are after a collection of exceptions chosen by management and not subject to audit. This blog has demonstrated in the past that some of these exclusions from cash flow are recurring expenses. That said here is the history going back to the final quarter of 2012. Alas this table of changing measures requires some notes. *In the fourth quarter of 2015 the company presented a late annual report. It announced preliminary earnings that contained a new measure: "adjusted EPS". 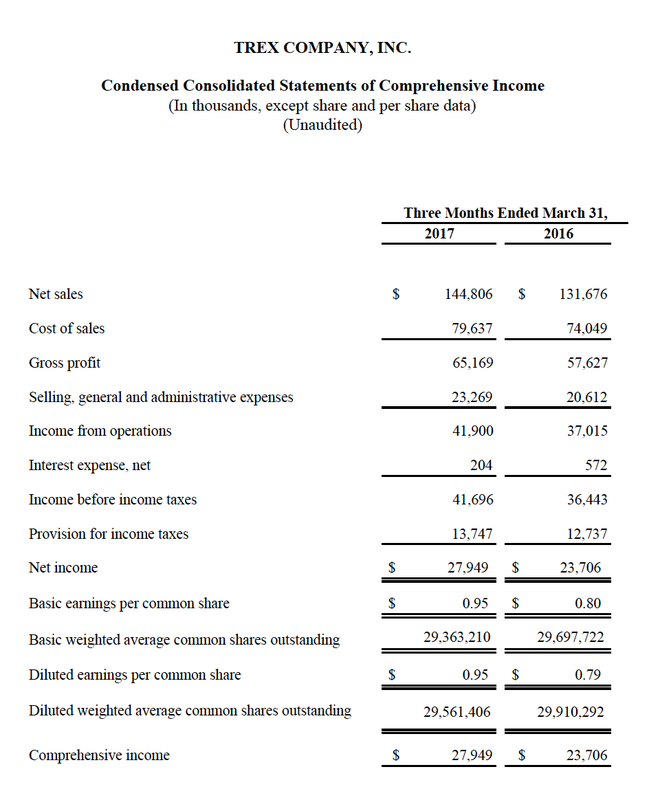 The "adjusted EPS": was not reconciled in any way to previously announced "adjusted cash flow". The "adjusted earnings" in the above table are is the total adjusted earnings that was used to calculate the "adjusted EPS". **In the first quarter of 2016 the company reported an adjusted EPS number and and adjusted EBITDA number started guiding for an adjusted EBITDA number. You would think this number to be broadly consistent with previously used "adjusted operating cash flow" numbers. It wasn't. 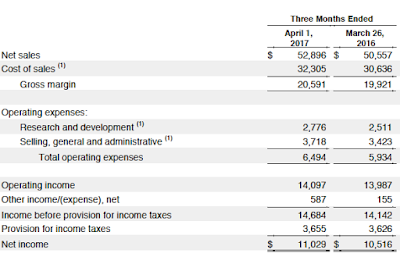 Remarkably there was an unexplained mismatch between the 2015 first quarter adjusted EBITDA number and the originally reported "adjusted operating cash flow". The old number was 708 million as in the above table. The new number was 1127 million. Somehow as Valeant was collapsing they surreptitiously changed their adjustment to even further increase their stated adjusted cash flows. ***In the second quarter of 2016 the company reported an "adjusted net income" which was inconsistent with previously reported numbers. The previously reported number was "adjusted operating cash flow" of $773 million in the second quarter of 2015. 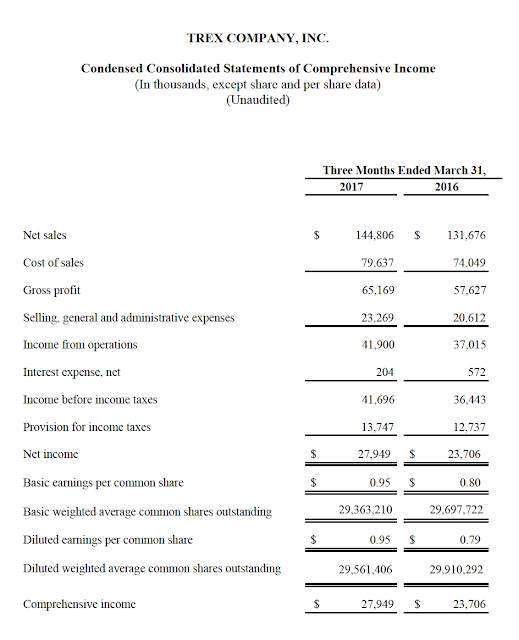 Now they reported "adjusted net income" of $751 million for the same quarter. I cannot reconcile the old $773 million number to the new $751 million number. #In the third quarter of 2016 the company produced an "adjusted earnings" and adjusted EPS number. There is a number for adjusted earnings in the previous corresponding period (that is the third quarter of 2015). That number is $845 million. Again I cannot reconcile this number to the previously stated number. ##In the fourth quarter of 2016 the same issue arises but this time with respect to adjusted EBITDA which is now reported as $1374 million in the fourth quarter of 2015. ###In the first quarter of 2017 the adjusted EBITDA presented for the first quarter of 2016 was $1008 million. Again it cannot be reconciled to the previously reported $1076 million. Its pretty obvious here that the "adjusted" numbers need to be taken with some salt. Firstly the adjustments simply do not reconcile quarter on quarter. Secondly despite all these adjustments GAAP earnings look limp and the company is on its knees. In the last quarter the GAAP earnings look fine until you realise that more than 100 percent of them come from writing down previously accrued deferred tax liabilities. The earnings are good because the company won't be paying as much tax in the future (possibly because losses are large and unrecoverable). This guidance reflects the impact of the sale of the CeraVe, AcneFree and AMBI skincare brands. This guidance does not reflect the impact of the sale of the Dendreon business, which is expected to close mid-year. What this does not state is that they missed previously announced revenue guidance - and missed it quite badly. But in the first quarter revenue came in at $2.109 billion. That is a really big drop. You would have to think that Valeant is going to miss its annual earnings guidance by $500 million or so. The FT article notes an 11 percent decline in revenue. I am an old fashioned sort of guy. There are really only two ways you can raise real EBITDA (and hence I would think that there are only two ways you can raise adjusted EBITDA). The first way is you increase revenues. The second way is you decrease costs. I think that is the end of the story. So Valeant revenues are on track to miss guidance by about half a billion dollars. But they are going to beat their adjusted EBITDA number. This can only be done if they have decreased their costs by an unanticipated half a billion dollars. Possible: but I would like to know what costs they are cutting that they had not previously anticipated. Remember this is a company that was notorious for cutting costs (possibly to excess) whenever they purchased an asset. This was the company who fired almost all non-revenue producing people. Scientists doing research: fire them. The adjusted EBITDA number and guidance is BS. As you can guess common sense leads me to the third choice. The adjusted EBITDA number and guidance remain BS. You can't value this company against the "adjusted EBITDA" because - as this post demonstrates that number is almost certainly BS. You can't value this company against earnings because (other than writing off future tax liabilities) this company has no earnings. So you are left trying to value it against revenue. So lets play this game. Let's presume that Valeant revenue is as good as Gilead revenue. Gilead is of course the super-champion drug company with $90,000 drugs that cure nasty diseases like Hepatitis C. It is one of the finest drug companies in the world - and is strongly profitable. Assuming that Valeant's rag-tag of declining generic drugs with increasing competition is - per dollar of revenue - as good as Gilead - is of course generous. Gilead Revenue is running at $29 billion per annum. The revenue is declining though because the drug works - and people are being cured of Hepatitis C. The market cap is 86.3 billion and cash and equivalents are 11.9 billion. The enterprise value is just under 75 billion - so this is worth just over 2.5 times sales. If you project pretty gnarly falls on Gilead Revenue (simply because their drug works) it is hard to get below 3 times sales for Gilead. Valeant sales are about $8.4 billion. Put that on three times sales and you can't even cover the debt. The equity will wind up being worth a brass razoo. Now I am being harsh. Growing pharmaceutical companies with franchises and new drugs in the pipeline regularly trade at 4.5 times sales. If you put Valeant on 4.5 times sales you something in the mid 30 billion range - but only if Valeant sales rapidly stop their catastrophic decline. Valeant debt is about 28.5 billion. That gives you potentially - and this is if everything goes right and you put it all on a pretty decent multiple of revenue - about $7 billion in residual equity value. The market cap is about 4.7 billion now. So if all goes really well you can make some money. But you need to make some pretty heroic assumptions. Then you need to assume that the revenue doesn't continue to fall. (I think it will. The company will not be allowed to charge over $200 thousand per year for drugs like Syprine indefinitely. There is probably half a billion to a billion in revenue that will go away simply as competition hits the massively overpriced generics. Actually half a billion is generous. On top of this you have to ignore the inevitable competition that will come to their biggest drug (Xifaxan). That drug will have a generic supplied by Allergan. All up I forsee well over a billion dollars of likely revenue declines. Finally you have to ignore the lack of integrity that allows you to guide up "adjusted EBITDA" when the revenue misses by a lot and where you have not obviously cut costs. Still - if this is the gamble you want - good luck to you. There are easier ways to make money. Several people on twitter and some in person have asked me for an update on my very bullish position on Verizon - especially since the results were not as good as expected last quarter. I promised I would be forthcoming - but that I wanted to spell it out to our clients first. This is an extract from a client letter. I want to start with the original bull thesis. The original thesis came from watching Randall Stephenson (the CEO of AT&T) talk at a Milken Conference in 2012. The original recording is here. The relevant portion of the video starts at about minute 18. In New York the problems were intense. The complaint in New York was that the iPhone was a great phone so long as you accepted you could not use it as a phone. Jon Stewart mocked the coverage with unusual brutality on the Daily Show (link). AT&T solved this by more and more capital expenditures. At the time, capex ran at around US$20 billion per annum. AT&T was – other than the government – the single biggest capital spending entity in the US. Stephenson (speaking in 2012) said that the same problem would recur as usage continued to grow massively. But this time Stephenson argued it is different. He asserted that AT&T would not be able to solve this problem by more capital equipment. Spectrum congestion was inevitable. He saw this as apocalyptic, but we saw potential pricing power and improving profitability. We were doing simple arithmetic and getting very large numbers. Most Americans if given a choice between their pay-tv provider and their smart phone would choose the smart phone, but they currently pay more for their pay-TV. This of course led us to do a lot of research into telecommunications technology to see if we could verify Mr Stephenson’s claim of inevitable shortage. And as we discovered nothing in this space is ever as simple as Mr Stephenson’s blanket claims. So – at the risk of offending people with deep knowledge of how mobile telephony works – we are going to give you a crude understanding of the issues. We do it by simple analogy. Imagine us in a very large room (say a big indoor stadium), you with a receiver and me with a transmitter flashing a red light. I could flash you a signal. Morse code would do. With Morse code I could flash things to you at a maximum rate of about five characters per second. That is not very fast. Alternatively I could use a computer to control my flashing light and you could use a computer to read it. I could then flash signal to you at about the intensity of a CD player. It’s quite a lot of information. More than enough for you to run the internet at a reasonable speed. The first and most important way in which we have got more capacity is by using better and better signal encoding and decoding. In mobile telephony, we refer to the generations of transmission technology as analog, 2G, 3G and 4G (namely LTE). It was our assertion that this trend had reached its natural limit. Now imagine there are 10,000 people in this room. I could flash a signal to all of them with my red light. And if I equipped all of them with a smart decoder (say a little computer built into your phone) then I could flash the signal encrypted – and they could decrypt it, pick out their bit of the signal and discard all the rest of the signal as white noise. The problem now is that my red-light is shared between 10 thousand people and whilst it is very fast if used for one person it becomes quite slow when used for 10 thousand. There are multiple potential solutions. One solution is to beam my red light to every person individually – say using a laser. This is effectively what is done in a fiber-optic cable. The laser in the cable goes to me, and a different laser goes to you, and they are not mixed because they go down different fiber-optic cables. This offers anyone on the end of a fiber optic cable almost unlimited capacity. The problem is that you have to be connected to the fiber optic cable - and we use these things mobile. Another more realistic solution for most purposes is cell division. Instead of using one big red light to signal everyone in the stadium, I could instead build hundreds (maybe thousands) of small transmitters each beaming a low intensity beam to small groups of people or even individuals. There is no real limit to the amount of cell division if I make the power of the antenna low enough. That is, in part, what WiFi does. The power of a WiFi transmitter limits its range to about thirty meters. This means my WiFi transmitter does not interfere with your WiFi transmitter because they are more than say sixty meters apart. The amounts of information that can be carried on WiFi is enormous precisely because the transmitters are so low powered and so numerous. When someone says that they are going to “run out of spectrum” they are in some sense kidding you. One can always produce more capacity by cell division. The only problem is that it rapidly becomes enormously expensive. To cover America with WiFi one would need to build billions of transmitters. Cell division is expensive. Really expensive. Then there is another alternative. A cheap one. Just use another colour to transmit. Transmit to one person using red light and someone else using blue light. If my colours are far enough apart on the spectrum chart then they will not interfere with each other. Using another colour is another word for using more spectrum. Spectrum is an alternative to cell division and hence capital expenditure. Spectrum has value if it allows a carrier to avoid capital expenditure. c). Deploying more “colours”, also known as more spectrum. We then spent a lot of time researching the limits to each approach, and we focused on spectrum because Randall Stephenson led us there. Not all spectrum is equivalent. Some can go through walls (low frequency radio). Some cannot (eg visible light). But going through walls is important if I want to use my mobile phone inside. It turns out that to a rough approximation light can go through an object half its wavelength thick. (The physicists will pick objections to this statement.) But light at 600 MHz will go through the walls of most buildings but light at 5000 MHz (where upper-band WiFi is located) will not. This makes 600 MHz spectrum much more useful for mobile telephony. It is sometimes called “beach front spectrum” for this reason. There is a lot of high frequency spectrum available, but it does not have good propagation characteristics. Sprint – the US carrier - is unlikely to ever run out of such spectrum. There is, however, a limited amount of “beach front spectrum” available which has very good propagation characteristics. Thus the high frequency players like Sprint or T-Mobile in the US tend to offer cheap unlimited packages (because they have a lot of spectrum) but have lousy coverage. By contrast low frequency players (AT&T and especially Verizon) tend to have limited capacity (as there is limited low frequency spectrum) but great coverage (because it propagates well). In this sort of market we wanted to own the low-frequency players, as they own what is limited and valuable. But the low-frequency players do not have unlimited pricing power, because customers might jump to high-frequency players offering a cheap – albeit inferior – product. We purchased positions in shares in low frequency players who we believed would own increasingly valuable spectrum. We figured all we needed to do was wait. Note eight percentage points of Wireless revenue growth – and very fast EBITDA growth. You could not see this in the Verizon accounts because the landline business was declining, but our logic was that the landline business would stop declining and the wireless growth would continue. The thesis was reinforced when very high and increasing prices were paid for spectrum in recent auctions in many jurisdictions in the world. We went so far as to download from the Federal Communications Commission a list of spectrum ownership by county in the US and match that with the population data from the census. We used spectrum prices that we saw being used by major parties in big auctions. Prices are usually considered in dollars per MHz per head of population. We concluded that Verizon offered the best valuation and that using this model owned $500 billion worth of spectrum. If the spectrum prices that we observed being paid were rational then Verizon in particular was really cheap. The Verizon position had an additional advantage: the penalty for being wrong appeared low. After all, if we were wrong, then we owned Verizon, a high-dividend paying “grandma” stock. One fly in the ointment of our thesis was the continued bizarre behavior of the major carriers – especially AT&T. If the spectrum story was as good as we thought, then if you ran a telephone company you would not dilute your stock under any circumstances. You would largely use spare cash to buy back your stock and would bide your time until the loot flowed in from rising prices. If you believed Randall Stephenson’s story that is what you would do. Instead AT&T purchased DirecTV – a large satellite TV company. At one stage we had a large AT&T position. Their behavior convinced us to sell. Besides Verizon was better on the spectrum valuation model described above. 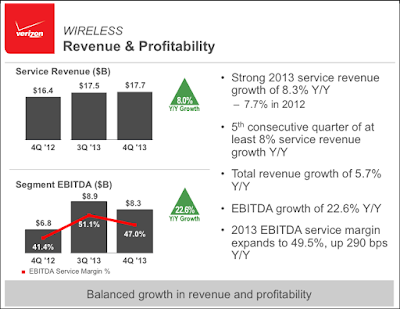 c) Wireless revenue growth slowing. We were unconcerned about price competition for small data bundles (say 2GB of data per month) because we figured there was enough capacity to offer everyone a few GB of data. But we were very concerned if discounts were offered on large bundles of 10GB or more. Most importantly we did not want to see the reintroduction of unlimited bundles. Alas our thesis broke pretty rapidly on all three criteria over the past six months. The incentive auction (that is the recent US spectrum auction) produced much lower spectrum prices, Verizon reintroduced unlimited bundles, and revenue growth slowed--and then slowed some more (it is still positive, but only just). The entire position was sold. Obviously the engineers at Verizon think they can handle all the extra usage that will be piled on what we thought was their limited bandwidth. When the thesis is wrong it is time to sell. We actually think it could get quite bad at the carriers. The world’s worst business is one with high fixed costs, low marginal costs, and lots of competition. In that case the competitive forces will drive prices down to the low marginal costs – and it will be impossible to recover fixed costs. When the fixed costs are debt financed, bankruptcy often follows. That is precisely why the airlines have been bankrupt many times. The marginal cost of filling the otherwise empty seat is very low – and competition at times drives prices to those very low marginal costs. isn’t truly scarce this could get ugly. Apple is a definitively high margin manufacturer. Everything about that company screams high margin. The stuff feels expensive and (frankly) is expensive. But you are willing to pay for it because (a) it defines your identity and how you feel about yourself, (b) really does work pretty well and (c) has very good ways of keeping competition out - so you can't buy a true substitute. On top of that Apple has software sales which (typically) are fatter margin than manufacturing. Let's spell out just how high margin. Here is Apple's 2017 second quarter results (link). Note these results are unaudited and in millions of dollars. Reported sales were $52,896 million, Gross Profit was $20,591 million, and Operating Income was $14,097 million. Gross margin was 38.9 percent. Operating margin was 26.7 percent. At Bronte we have the (justified) view that any manufacturing company with margins fatter than that needs some explaining. So let me present you Trex Company. Trex makes decking. Plastic decking. Outside many houses in middle America is timber deck often with a barbecue - or at least a grill - sitting at the end. This is a place for barbecue, socialising and - of course - beer. The beer is very important. The deck is also a frustration for owners because exposed to the weather the deck needs to be maintained regularly - and at a minimum oiled every year or so. Sure the frustration can be offset by more beer. And I guess that makes it okay. But these days you have an alternative - you can have fake timber decking. The fake timber is made of plastic and the sales pitch is that it looks just like timber but all you need to do for maintenance is sweep it. Plastic decking is sold as a superior alternative to timber. There are lots of suppliers. There is Trex Company, Fiberon, Azek and others. Beyond that Home Depot and Lowes have their own house brands (eg ChoiceDek available only at Lowes). So with plenty of competition for a building product where most people will not know the brand names (and where the purchase is large and so you might wish to shop it) you would expect lowish margins. But you would be wrong. The margins are stunning. Reported sales were $144,806 thousand, Gross Profit was $65,169 thousand, and Operating Income was $41,900 thousand. Gross margin was 45.0 percent. Operating margin was 28.9 percent. Whoa - Trex Company - with lots of competition - is fatter margin than Apple. So what is happening here? How the hell does Trex do it? There is your business puzzle for today. And if you are a journalist with a middle-America beat there is a great story here for you. This one is just made for the USA Today or non-business mainstream media. Disclosure: short a little Trex (which traded badly on these results). This is not a death-grip short like say Home Capital Group. But it is a source of some amusement. I like puzzles like this.